We hope everyone has been enjoying Fortnite Battle Royale! The team is really excited about your enthusiasm and we’ll be working hard to add more stuff to the game in hopes of improving your time playing the game! We’ve noticed some questions that pop up a bit and wanted to provide some baseline information on FN BR’s development for you. These FAQ will eventually be added over on the official website's FAQ, so you may want to bookmark that section. We'll continually update it with new information. How are you addressing weapon bloom and accuracy? Improving the weapon feel will be an ongoing process and we’ll continue to iterate to make the weapons feel right for the Fortnite Battle Royale universe. Is Fortnite Battle Royale Cross-Play? No. There is no cross-play in Fortnite Battle Royale. There is cross-progression between PC and PS4. You’ll need to link your Epic Games ID to your PS4 account in order to enable cross-progression. How will you handle teamers in solo play? We’ve built a system to automatically and swiftly ban teamers in solo play. I would like to report a player, where can I do so? I’m having a game issue, who can I contact? We encourage reaching out to our support team, contact Player Support. Will you add Voice Chat? Voice chat is on our priority list and is a must-have feature before we consider squads done. As a substitute, we currently recommend using Discord on PC and inviting players to private chat channels on PlayStation 4 or Xbox. When are you going to introduce character customization? The custom glider skins are the first example of our effort to introduce custom cosmetics, others to follow soon. Will you introduce new weapons to Battle Royale? Yes. We have a large arsenal of weapons to choose from in the Fortnite universe. We’ll have to see what makes the most sense when transferring them over to Battle Royale. Will you add the ability to switch camera positioning from left-shoulder to right shoulder in third-person view? We are aware that it's a top concern. We are investigating how it would function inside of Fortnite. Will you add a first-person option? No. We’re not planning to add a first-person option. We don’t feel it fits with the design style of Fortnite. We may revisit in the future. Some cosmetics will be free, some will be be earned and some you may need to purchase. Will there be Leaderboards and Stats? Yes. We will have Leaderboards and Rankings. Regarding stats, we’re already recording a lot of player data and hope to have it visible in game soon. I want to drive around. Where are the vehicles? Right now we do not have any immediate plans to add vehicles. We’ve done some very early prototypes internally, but have concerns with how they’ll affect the flow of Battle Royale. We’ll let you know our plans when we have a better understanding of their impact. Yes, but not right away. We’ll also be looking into improving our current map, including adding more points of interest. What else are you working to immediately improve or add? Find out more information on what’s coming here. Why did Epic make only Battle Royale free? When will the whole game be free? We still have a lot of features to add before the PvE campaign is complete. 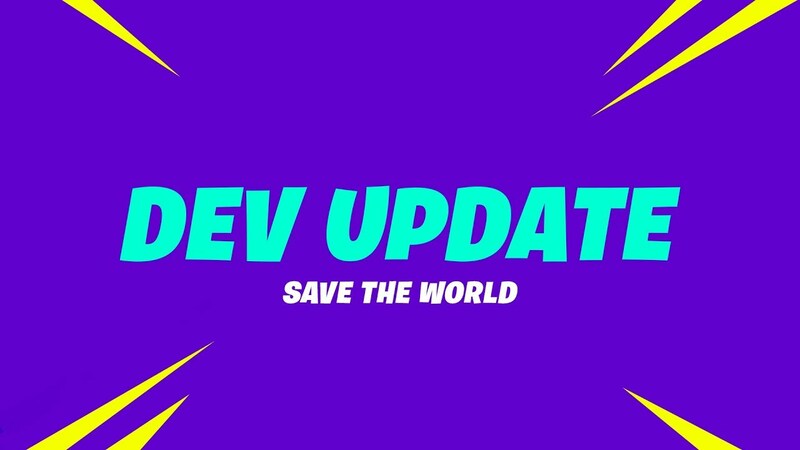 We will launch the Save the World PvE campaign for free in 2018. Now that Battle Royale is free, does that mean that PvP development is complete? No. Fortnite is still in development and we will continue to improve and expand both the PvE and PvP game modes. Does Battle Royale mean that Fortnite is abandoning PvE? No. The team has big plans and is continuing to add features and develop new modes to play, including the previously announced “Block Party” mode. Stay tuned for some spooky details on our October updates soon. Will my progress in Fortnite PvE campaign transfer over into Battle Royale? For now, PvE and PvP are not connected and we don’t know if Battle Royale will eventually connect to the Fortnite Campaign. We are considering cosmetic connections between PvE and PvP and compendium-like content, but we’re still figuring it out. Let us know what you think would be cool. No. We will not sell items that give a competitive advantage. At some point in the future we will sell other things including cosmetics or compendium-like content. We encourage your questions! We'll do our best to provide answers. Last edited by [EPIC] arCtiC; 09-28-2017, 02:37 PM. Any kind of statement from Fortnite in regards to the PUBG developers being a little upset you're doing a project similar to the PUBG aesthetic? Hello you should add some feature to host private games like custom matchmaking or other stuff! It will be good Improvemnt for School and Other stuff like who is best at fortnite at Work :D! Dear, Epic Employees i'm having a problem with getaway LTM, I am not receiving my Victory Glider Even tho, i won a game on there. Any Help? How come I can see umbrellas in some gameplay rather than a glider? You can get a new umbrella every season! As Someone who payed the full $250 for all the content in PvE mode, will I receive any unique cosmetics for this purchase in the PvP mode, it would be awesome to get something for this bundle! No you will not, thought it'd be nice if you could. It's a reward for winning a game. You get the webrella this season. Are you guys planing on getting a South America server? I ask this because im playing the game with my friends and we like it, but it feels bad to play with over 200ms, slow weapon change, slow hit reg, we get pushed back a lot when moving. Some of my friends are giving up just because of this issue. All the big games have a SA server nowdays like dota, league of legends, counter strike, overwatch, pubg, even h1z1. Whether or not we add more to that is TBD. I have those! They are still some of my favorite gliders! Thanks! And one more thing- why was the duel pistols removed? They were my favorite weapon. By any chance could they be brought back? Any plans to un-p2w the PvE part of the game? The PvE team has been pretty straightforward with addressing concerns around direct acquisition i.e. let me get the thing I want, which seem to be the most common concern when talking about the monetization. Outside that, I can't provide too much more information about plans there as I'm not on the core Fortnite development team. There was a Dev update that discussed a number of concerns expressed for Save the World (attached). My main gripe with Battle Royale is looting after you've killed someone. The amount of time it takes to get a certain item (specific ammo for example) if it is in the middle of all the loot is annoying. - Could you make the second safe zone a bit bigger ? If you are a little bit late, the storm eye is unforgiving on the second wave without healing and you have no chance of surviving it. - Adding +15% of the ammo you can have from the ammo stacks you loot would be nice. - The AR + Scope is overpowered long range, mostly with bloom mechanic. In long range situations, if you fight an enemy using a AR + Scope and you have a simple Assault Rifle, there is no way you can win the fight. I'm honestly not a fan of Bloom, as i'm coming from H1Z1, so my opinion would be to heavily reduce the bloom or remove it, that way you could compete. A temporary solution would be to buff the drop rate of the AR + Scope weapon, that way you have the choice. In 8 hours of gameplay, i got that weapon only one time. Can you please add more servers like South East Asia Server or Asia Server . and also is this game permanently free? Does anyone know how to find invoice id?